If you watched even a bit of Mark Zuckerberg’s ten hours of congressional testimony over the past two days, then you probably heard him proudly explain how users have “complete control” via “inline” privacy controls over everything they share on the platform. Zuckerberg’s language here misses the critical distinction between the information a person actively shares, and the information that Facebook takes from users without their knowledge or consent. Zuckerberg’s insistence that users have “complete control” neatly overlooks all the ways that users unwittingly “share” information with Facebook. Of course, there are the things you actively choose to share, like photos or status updates, and those indeed come with settings to limit their audience. That is the kind of sharing that Zuckerberg seemed to be addressing in many of his answers to Congressmembers’ questions. Computational inferences that can conclude characteristics and preferences a user never told Facebook about. Users don’t share this information with Facebook. It’s been actively—and silently—taken from them. This stands in stark contrast to Zuckerberg’s claim, while on the record with reporters last week, that “the vast majority of data that Facebook knows about you is because you chose to share it.” And he doubled down on this talking point in his testimony to both the Senate and the House, using it to dodge questions about the full breadth of Facebook’s data collection. Zuckerberg’s insistence that users have complete control is a smokescreen. 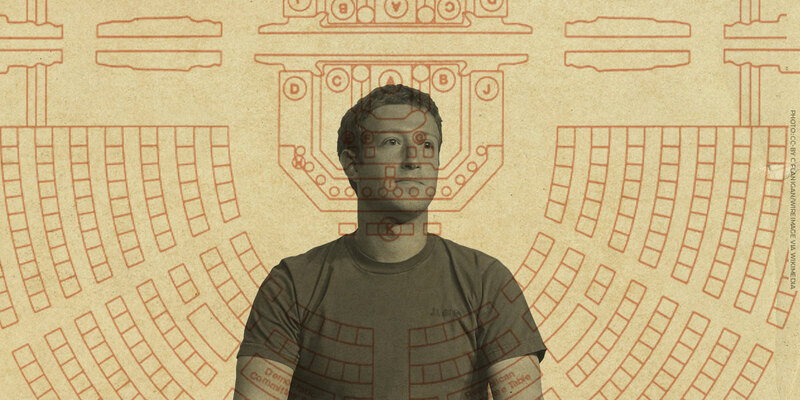 Zuckerberg’s insistence that users have complete control is a smokescreen. Many members of Congress wanted to know not just how users can control what their friends and friends-of-friends see. They wanted to know how to control what third-party apps, advertisers, and Facebook itself are able to collect, store, and analyze. This goes far beyond what users can see on their pages and newsfeeds. Facebook’s ethos of connection and growth at all costs cannot coexist with users' privacy rights. Facebook operates by collecting, storing, and making it easy to find unprecedented amounts of user data. Until that changes in a meaningful way, the privacy concerns that spurred these hearings are here to stay.